The Library is experiencing phone problems. Please bear with us as our techs work with Verizon to resolve the problem. The Library will be closed on Thursday and Friday for the Thanksgiving holiday. But we will be open on Saturday for our regular hours, 10 a.m. to 5 p.m. The Community Center will be closed all weekend. Next Monday evening, 7 PM, Eaglebear (Tomas Shash) comes to the library, with drums. Saturday evening, November 19th, 7:30 PM, a drumming trio will perform on Japanese taiko in the Community Center auditorium. 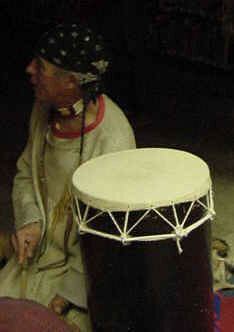 We usually drum with Bill Jenkins during our winter solstice programs. This year that will be Thursday, December 22nd. And ... taiko in Athens. The time changed (for us, not everyone everywhere) this Sunday morning. We are now back on Eastern Standard Time. Since 2007 the rule has been: First Sunday in November. A cartographer's notes on time zone peculiarities. Monday, the 7th at 7: Bedtime stories for very young children. This is usually scheduled for the first Monday evening in a month. Tuesday, the 8th: For the first time in ?, forever?, we will have no morning Circle Time sessions so as to free the library parking lot for voters in the City elections. 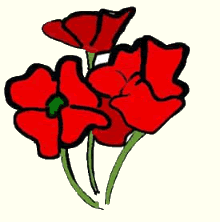 Friday, 11/11/11: We will be closed for Veterans Day. The library reopens Saturday with D&D games. The Community Center will remain closed all weekend.